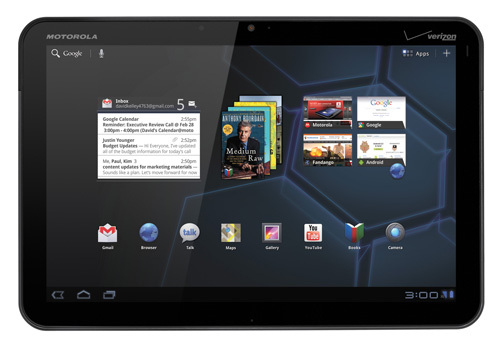 Motorola Xoom with Google’s Android Honeycomb 3.0. Well, some of you might not be aware of this. Motorola Xoom is officially launched in US on February 24th 2011. I wonder when will Motorola Xoom come to Malaysia & Singapore? Now the tablet competition is getting more serious as Motorola Xoom has proven to be a real competitor to iPad and review made by Engadget says that Motorola Xoom outclasses iPad in some areas. I don’t have a hands-on unit of Motorola Xoom, so, I think I should just trust Engadget for their remarks. How much is Motorola Xoom? Price without contract is US$799. That’s equivalent to RM2450.13 (direct conversion using iPhone’s XE Currency converter). Price with 2 years of contract with Verizon is US$599 which is equivalent to RM1836.83 (same here too.). 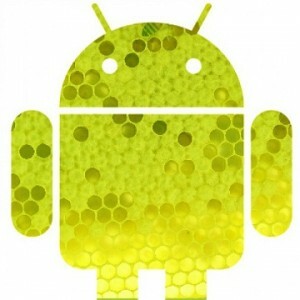 Motorola Xoom tablet is the first tablet to use Google’s Android 3.0 Honeycomb. It’s also the first to have 10.1″ size with 1280 X 800 touchscreen display. And it’s also the first tablet to use a dual-core Nvidia Tegra 2. A dual-core for a tablet computer? That’s so unreal. Last time, dual-core processor was like the King for computers and laptops. Now, you can even have it in tablet computers. Technology changes so fast these days. Where to find enough $$$ to buy these toys? Ok, back to Motorola Xoom & iPad 2. With these specs, many claim that this is the best tablet in the market. Of course, that’s before iPad 2 is out. After testing the Motorola Xoom, Engadget says that Motorola Xoom has super fast UI and great battery life; 8 & 1/2 hours of constant multimedia use but it has issues with the software, lack of tablet applications and also buggy OS but great . Engadget gave it 7/10. My personal opinion after watching a Motorola Xoom review video in Youtube is Google’s Android Honeycomb 3.0 looks and feels like Windows which is something that I don’t like. It’s just not so classy and humane. The whole display looks so geek and it just don’t have that kind of design that can attract people to fall in love with it. Google will have to put in more efforts in designing their whole outlook and feel. Back to iPad 2. There are blogs which claim that iPad 2 might not have dual-core processor but with Motorola Xoom, I think Apple has to do a better job than trying to sell us an outdated spec for iPad 2. Let see what does iPad 2 has to offer. 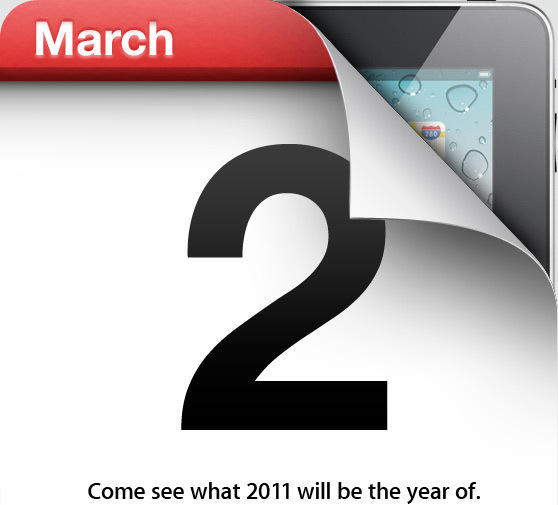 iPad 2 launching in March 2nd’ 2011? I wonder when will Motorola Xoom comes to Malaysia and how much will Motorola Xoom cost in Malaysia. Who will carry it first? DiGi or Maxis? Let’s wait and see. When will Motorola Xoom comes to Singapore? Will it be earlier than Malaysia? How much is Motorola Xoom in Singapore? Will it be more expensive than Malaysia’s Motorola Xoom just like iPad? Meanwhile, watch the Motorola Xoom review video by Gear Live. Next story Official Price for MacBook Air & MacBook Pro for Malaysia Is Out!! !